On 10 February 2015, the long awaited report from the Institute of Medicine (IOM) was released regarding a new name — Systemic Exertion Intolerance Disease — and case definition for chronic fatigue syndrome (CFS). Because I was quoted regarding this report in a New York Times article, in part due to having worked on these issues for many years, hundreds of patients contacted me over the next few days. Several individuals were even more critical in their reactions — suggesting that the Institute of Medicine-initiated name change effort represented another imperialistic US adventure, which began in 1988 when the Centers for Disease Control changed the illness name from myalgic encephalomyelitis (ME) to chronic fatigue syndrome. Patients and advocacy groups from around the world could perceive this latest effort to rename their illness as alienating, expansionistic, and exploitive. The IOM alleged that the term ME is not medically accurate, but the names of many other diseases have not required scientific accuracy (e.g., malaria means bad air). Regardless of how one feels about the term ME, many patients firmly support it. Our research group has found that a more medically-sounding term like ME is more likely to influence medical interns to attribute a physiological cause to the illness. In response to a past blog post that I wrote on the name change topic, Justin Reilly provided an insightful historical comment: for 25 years patients have experienced “malfeasance and nonfeasance” (also well described in Hillary Johnson’s Osler’s Web). This is key to understanding the patients’ outrage and anger to the IOM. So how could this have happened? The Institute of Medicine is one of our nation’s most prestigious organizations, and the IOM panel members included some of the premier researchers and clinicians in the myalgic encephalomyelitis and chronic fatigue syndrome arenas, many of whom are my friends and colleagues. Their review of the literature was overall comprehensive; their conclusions were well justified regarding the seriousness of the illness, identification of fundamental symptoms, and recommendations for the need for more funding. But these important contributions might be tarnished by patient reactions to the name change. The IOM solicited opinions from many patients as well as scientists, and I was invited to address the IOM in the spring regarding case definition issues. However, their process in making critical decisions was secretive, and whereas for most IOM initiatives this is understandable in order to be fair and unbiased in deliberations, in this area — due to patients being historically excluded and disempowered — there was a need for a more transparent, interactive, and open process. So what might be done at this time? Support structural capacities to accomplish transformative change. Set up participatory mechanisms for ongoing data collection and interactive feedback, ones that are vetted by broad-based gatekeepers representing scientists, patients, and government groups. Either the Chronic Fatigue Syndrome Advisory Committee (that makes recommendations to the Secretary of US Department of Health and Human Services) or the International Association of ME/CFS (the scientific organization) may appoint a name change working group with international membership to engage in a process of polling patients and scientists, sharing the names and results with large constituencies, and getting buy in — with a process that is collaborative, open, interactive, and inclusive. Different names might very well apply to different groups of patients, and there is empirical evidence for this type of differentiation. Key gatekeepers including the patients, scientists, clinicians, and government officials could work collaboratively and in a transparent way to build a consensus for change, and most critically, so that all parties are involved in the decision-making process. Headline image credit: Hospital. CC0 via Pixabay. 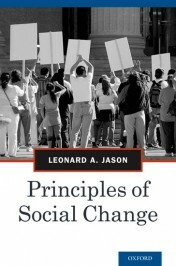 Leonard A. Jason is a professor of clinical and community psychology at DePaul University, director of the Center for Community Research, and the author of Principles of Social Change. Yes, the name can not be SEID. Last night I told that new name to a friend who manages a nonprofit organization representing disabled folks. He works with governments and lawyers all day long. I told him the new name and he burst out laughing, laughed out loud. Told me he was sorry and then kept laughing. He knows how sick I am (often bedridden and homebound — for the past 25 yrs). He knows how absurd — laughable! — the new name is. Let’s reject it and find something better. I want ME. So obviously the best name. The charge was to redefine/rename CFS; ME/CFS, not ME. They stayed within their mandate. ME patients do not want CFS or “ME/CFS” renamed ME. Again, it is not just a name but the correct dx (illness/description). ME is not a fatigue syndrome so we do not want a fatigue syndrome re-named ME. This is not about some phony consensus. CFS patients love using the name ME; ME patients hate CFS as it is inaccurate. ME patients have literally been driven out of their own disease by having people with a different illness take the name over for themselves. As a consequence, ME patients have been mistreated, driven to psychiatrists and died because of it. Why do Americans think they have the sole right to name the disease? I doubt issues such as how well the name translates into other languages was even considered. For me it mostly means ‘one more hashtag to follow on twitter..’ I think it’s the best they could do when only a few scientists apparently have access to a proper PET-scanner. But they brought Epstein Barr back in the picture! I’d rather more time was spent looking at ways to help / cure this horrible illness than squabbling over what it is called. Seems like a huge waste of research funding that could be better used for something else. But this is the country we live in, where pointless research with little implication gets funded at the expense of the tax payer. MERICA! Thanks for this. Like many other ME patients, I think Myalgic Encephalomyelitis best represents my disease. But that’s not just because of the name, it’s the descriptors that are used, going back to Dr Ramsay, ME expert who first observed an outbreak at the Royal Free Hospital. I actually don’t think SEID is too bad, frankly because anything is better than ‘Chronic Fatigue Syndrome’ which is what it replaced. The ‘exertion intolerance’ will cause problems, but the fact that it has ‘systemic’ and ‘disease’ in there is gratifying. I don’t see this as the definitive name, nor the descriptors (which are in themselves problematic – my sleep is actually quite refreshing – I just need a lot of it) but I see it as a step in the right direction. The US and UK have a long way to go in giving ME the recognition, funding, research and treatment it deserves, but this gives me hope that we are at least stumbling in the right direction. If “Myalgic Encephalomyelitis best represents my disease”, then you don’t have SEID – because SIED is actually DEFINED as being NOT ME – the SEID panel make this crystal clear, stating that there is “no evidence” that either myalgia or encephalomyelitis exist. So SEID is only a “better name” than CFS in that it is clearly defined as not being ME. That’s all. Otherwise, it’s irrelevant. SEID is sad, esp. the word “intolerance” as negative connotations surround this term. SEID is also limiting as it focuses on only one aspect of the condition. I know it’s a mouthful but something closer to Chronic Physiological Dysregulation is needed. CPD could suffice in conversation. “Chronic” should stay because it is chronic; this adjective makes that perpetual state clear. “Physiological” clarifies that the illness relates to the physical as opposed to the mental functioning of the body. “Dysregulation” would speak to the impairment of that physiology. Please leave the name myalgic encephalomyelitis (ME). CFS and SEID are degrading and misleading. In the US we are not thrilled with the new name but we are less thrilled that UK and Australian studies are including non ME/CFS/SEID patients. GET and CBT had to be beaten back by patients, doctors and researchers in the US. In many other countries the diagnostic criteria heavily depends on a psychiatric component and those with depression and other disorders have been included in the research. They get well with GET and CBT and other protocols because they never had the disease. So if giving it the new name helps us break from the bad research that keeps making its way to the US and idiot practitioners here use it then I will take SEID. This name change is a slap in the face, ANYONE can meet this new watered down criteria, if physicians did not believe in it before, a name change is not going to change their minds, the only challenge now is that others will jump on the bandwagon further sabotaging our cause and the progress we’ve made so far. The actions of the committee and all those ‘front’ organizations supporting this are sell outs. This is a serious disease there are published studies on it. We may have cognitive impairments but we are not stupid, what they essentially did was legitimize ME but continue to devalue and undermine those of us afflicted that have heavy viral loads amongst other ailments and are seriously ill. We would have done better to continue with the label of CFS and instead of investing in this panel, use the funds to spread the information and lobby for MANDATORY continuing ed credits for Physicians as well as lobby State Education Departments to mandate coursework in understanding CFS. THAT would have served our community much better than this lame attempt at reinventing the wheel. Many like NDS (neuroendocrineimmune disease). How about renaming cfs after the person who finds the cure. I would put his name up in lights for eternity. I became ill four decades ago when there was NO NAME for this illness and more seriously not even a concept in the field of Infectious Disease that a new uncharted disease could be an option. Note that this was before the establishment of an AIDS diagnosis. For a while we informally had CFIDS which wasn’t that inappropriate, especially the “immune dysfunction” part of the acronym. However, very few clinicians used it and it never became publicly accepted. hardly anyone can either pronounce or spell it. That meant that all that got heard or remembered was the standard CFS. And we all well know the limitations of the newly proposed SEID title! Systemic Exertion Intolerance Disease–sounds like what one would observe in the halls of the average nursing home. for another condescending, trivializing title. We need to rise up and let our voices be heard! I think it’s very important to get rid of CFS (neurasthenia) as this is being taught to psychology students in the UK. The myth that it is ‘a form of masked depression’ has gained a lot of ground over recent years. Likewise, ‘ME’ too is now misunderstood in the UK as a psychiatric disorder ‘characterized by a mixture of anxiety and unhappiness’ with physical complaints. So ‘ME’ has been hijacked and is being used as a psychosomatic label. I doubt this name can change perceptions about the condition in the UK. These texts provide the legitimacy for treatments such as GET (i.e. exercise can reverse de-conditioning, which is argued to be the dominant factor in the condition) We know that Lenny Jason’s (et al) work refutes this. At present, GET and CBT are the only forms of treatment available to us on our National Health Service. I would like the stigma of CFS to stop. I would like to have access to rehabilitation which includes the Energy Envelope. Articles such as these, I’m afraid, are relentless in the UK, which adds to the confusion that ME/CFS is Neurasthenia. Should there be more skilful questions designed for the media? For example, focusing on the Quality of Life measure to help reach the severely effected? -Do you have difficulty lifting a fork? Myalgic Encephalomyelitis (ME), Chronic Fatigue Syndrome (CFS), Systemic Exertion Intolerance Disease (SEID), ME/CFS, CFS/ME, CFS/ME/SEID, ME/CFS/SEID should be hypothesized to be a Systemic Autoimmune Disease even more intricately associated with Anti-Phospholipid Syndrome (APS) than is Systemic Lupus Erythematosus (SLE). CFS/ME should be hypothesized to be a secondary APS, most probably present in 90% of people diagnosed with CFS/ME, and the residual 10% of cases should be hypothesized to be misdiagnosed cases of CFS/ME, and it should be hypothesized that the residual 10% belong in the Department of Researchers such as Professor Sir Simon Wessely, and it should be hypothesized that the residual 10% have been scrutinized over and over again, whereas the 90% have been left in the dark most of the time, which is where all the confusion in the past around CFS/ME may have come from. Systemic Autoimmune Exertion Intolerance Disease associated with Anti-Phospholipid Syndrome might be a more accurate term for CFS/ME than is SEID. Chronic fatigue syndrome is a complicated yet unknown medical condition which is characterized by at least six months of extreme fatigue and also known as systemic exertion intolerance disease (SEID). The fatigue is not reduced by rest and may worsen or be worsened by physical or mental exertion. The first thing to know about it chronic fatigue syndrome is that it’s an illness. The Institute of Medicine classifies it as a disease as it is characterized by abnormally low levels of energy deficit and they say that people should take it seriously. Apart from physical exhaustion, cognitive issues are also impaired and to such an extent that you may have difficulty putting a sentence together or reading something out of a book. The causes of chronic fatigue are yet unknown, although there are theories on how and why it happens. One of the common theories is that it is caused by viral infections. Experts say that mononucleosis (an abnormally high count of white blood cells in the body) may trigger the disease. It starts with flu like symptoms that keep growing worse over time. Inflammation has also been known to trigger chronic fatigue and simply walking for a few minutes can cause unusually high inflammation although, again it is unknown where this inflammatory response originates from. Chronic fatigue comes and goes as it wills. Experts say that people first develop it in their 20s or 30s. After a few months or years it disappears only to unfortunately resurface later in life, especially menopause seems to recur another phase of chronic fatigue. The problem is that most doctors don’t know much about it because the disease is not included in the medical curriculum so it goes unfamiliar with many doctors and this makes it difficult for them to find answers. But some experts have blamed it on poor nutrition, especially junk food, and the commonly observed sedentary lifestyle of nearly every person. Again, what is unfortunate is that there are treatments for it but none are FDA approved because proper certified studies and clinical trials have not been conducted and ultimately doctors are forced to provide medications for pain and fatigue which are not specifically for chronic fatigue.